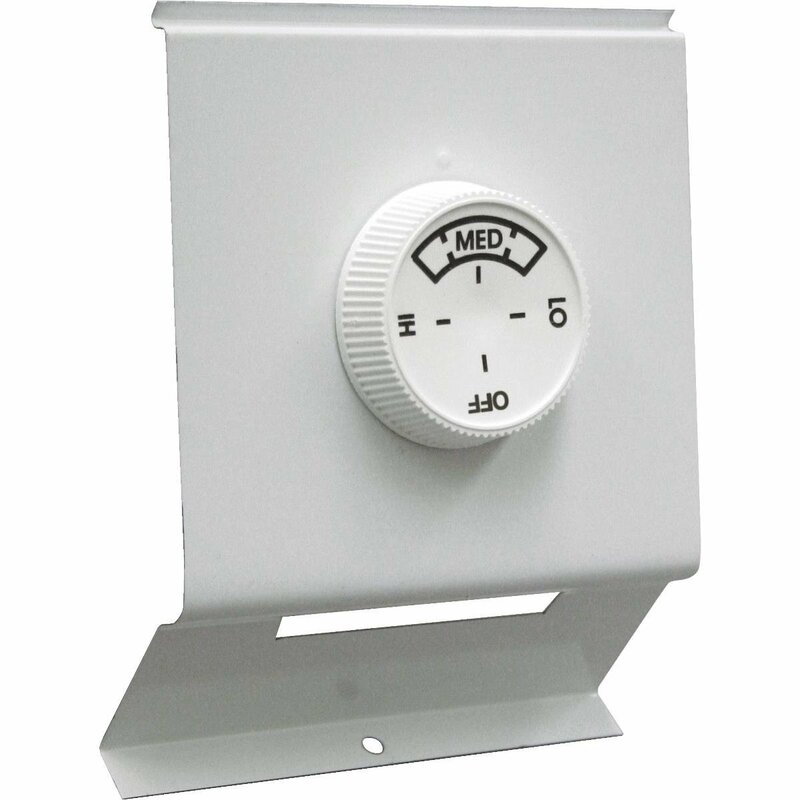 My the upstairs of my house is filled with electric baseboard heaters that use these thermostats that are mounted right on each heater. My house is a bungalow and the upstairs gets no heat or AC. During a remodel the previous owner installed one of these in each room and the hallway (there are four total). From the loads of googling that I've done, standard baseboard heat has some type of central location for the wiring. From this central location, a special thermostat then makes or breaks the electrical connection to turn the heaters on and off. My house has no such central location, each heater has one of these. I would love to upgrade these thermostats to some type of central and more accurate thermostat but am unable to find something. Do any solutions exist to do this? The thing about electric heating is that everything about it is cheap. I mean, the heaters themselves are inexpensive only because they are simple things. But thermostats and accessories are the other kind of cheap... when somebody gets done paying $50 for a 2000W baseboard heater, they don't want to pay $40 for a quality 'stat, and switching 30A of current is a hard job, so corners have to be cut somewhere else. As a result, line-voltage electric 'stats tend to be J.U.N.K. it is right next to the heater. That's a bad place for any thermostat. It's only there because that is easier to wire, and wiring line voltage is hard. Like any line-voltage thermostat, it has the full current traveling through its internal parts, quite near the temperature sensor. That current makes heat, which causes the sensor to misread, causing it to cut out below target temp. This can't be compensated for, because the parasitic heat is the square of current, and they don't know how much current you'll actually flow through it. Now, the first problem is cured by moving the thermostat away from the heater. However, this involves running mains wiring to the thermostat location, which because of the stiffness and Code requirements is much harder than running 24V thermostat wiring. And it does nothing to solve the temperature problem which will exist with any line-voltage thermostat, but can be reduced by reducing the current per thermostat. As for the cheap problem, that's solved by buying quality. But quality (good temperature-holding) line voltage thermostats are unusual and thus expensive, and you simply will not find one that mounts on a Cadet heater like that because that's a lost cause. Line voltage heaters can be controlled by 24v thermostats. We need a few bits out of the HVAC parts bin: a 24V transformer ($12) and one or more air conditioning contactors/relays ($12) which must be mounted inside an appropriate large junction box, or a RiB relay ($18) or an Aube style combo transformer-relay ($40). The relays switch the power to the heater. We also need some utility space to mount them, that could be inside the heater ends if you don't mind hearing the slight buzz of the transformer or the clack of the relay. The transformer can be anywhere, the contactor(s) must be somewhere along the power line from panel to heater. Connections between transformer, relay and thermostat get made by light thermostat cable, I recommend 4-wire just for expansion options. Routing is by the informal rules for doorbells and phone wiring. 24V thermostats are plentiful, and quality at their price point, since they do not need to switch power. Starting at $10, a quality Honeywell is $30, clear up to the $300 Nest. People with gas/vent furnaces have central control because it is cheap. They would love to have per-room control because it solves many comfort problems and saves energy. Individual room control is actually a virtue, a sought-after feature you get automatically with electric baseboards. I would not be quick to discard it. Your assumption may be in error that the wires for all baseboards come from the service panel to a central point. Each heater only needs 240V, any which way it can get it. They may be on separate breakers. If so, having a central thermostat will be impossible with line voltage. They do have 2-pole line voltage 'stats, but they only switch one pole thermostatically, the other is only off in the OFF position. Regardless, running a whole house of power through a line voltage 'stat may exceed its capacity. If you really want to do it, you will need to run a branch of mains wiring, from either the service panel or the common feed point to the thermostat. Doing this in 24V would allow one thermostat to control several circuit breakers' worth of heaters. The relays could be anywhere between service panel and each heater. There would need to be thermostat cable connecting thermostat, transformer and each relay, in a star layout (anywhere to anywhere as long as they are all connected). In that case, my recommendation would be to switch to a thermostat mounted in a normal position on the wall. If you use mains voltage wiring, you need a route to the thermostat location from either a) the heater, b) the service panel, or c) anywhere along the wiring to that heater (but for an enroute location, you will need 14"+ of slack, or to replace one end of the cable, and you will mount a junction box there). From that location, you "tee" a 2-wire+ground cable to the thermostat location. All this needs to be done with NM cable or conduit, and to mains wiring standards. If you use 24V wiring, you also need to identify a location either at the heater, the service panel, or along the wiring between them whe a junction box can be mounted. Here, a relay gets installed. With easy-to-wire thermostat cable, you need to connect the thermostat, the transformer, and the relay. Any 2 sides of the triangle will suffice. From the loads of googling that I've done, standard baseboard heat has some type of central location for the wiring. From this central location, a special thermostat then makes or breaks the electrical connection to turn the heaters on and off. This is not quite the case for electric baseboard heat. One of the advantages of baseboard heat is that it's very easy and economical to arrange zones with independent thermostats. For example, it's very easy to have a separate thermostat for each bedroom, and each person can keep the room at the temperature they prefer. This can be done with forced hot air or baseboard hot water or whatever, but it's a lot more expensive - usually cost prohibitive. The thermostats that you are using are on the baseboard heaters themselves. This is the cheapest way to install the thermostats, because it minimizes the wiring involved. However it doesn't let you pick a sweet spot in the room where you want to control the temperature, and you have to crawl around to change the thermostats. You can run upgrade to put thermostats in every room where ever you want them, it's just a wiring job. If you locate the thermostats close to the heaters and don't mind surface mounted wiremold and boxes, it's cheap and easy. If you have a house that's hard to run wires in, and you insist on locating the thermostats in exact hard to reach spots, it can be expensive. Usually it's a medium priced job. Usually the thermostats used for electric heat operate at line voltage, other systems use low voltage thermostats with their control systems. Although it is possible to use low voltage thermostats used in other systems with relays / contactors, it's doesn't usually make sense; there are lots of line voltage thermostats to choose from, old fashioned analog, regular (getting to be old fashioned) digital thermostats, and modern smart thermostats that work with home automation apps and all that jazz. Not the answer you're looking for? Browse other questions tagged thermostat heater or ask your own question. How can I safely remove one baseboard heater out of a set of two? How to install thermostat with plug in heater? Can I usefully control an electric baseboard heater in 1 room with the same thermostat as my central heat?